Hao Jingfang’s Folding Bejing won the 2016 Hugo Award for best novelette (the first Chinese woman to win the award). Her fiction has appeared in various publications, including Mengya, Science Fiction World, and ZUIFound. She has published two full-length novels, Wandering Maearth and Return to Charon; a book of cultural essays, Europe in Time; and the short story collection, Star Travellers. Kim Stanley Robinson has published nineteen novels and numerous short stories but is best known for his Mars Trilogy. 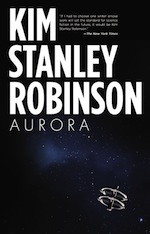 Robinson has won numerous awards, including the Hugo Award for Best Novel, the Nebula Award for Best Novel, and the World Fantasy Award. Robinson’s work has been labeled by The Atlantic as “the gold-standard of realistic, and highly literary, science-fiction writing.” He holds a PhD in English literature from UCSD. John Markoff, a Pulitzer Prize-winning journalist, wrote for The New York Times science and technology beat for 28 years. He is currently a journalist in residence at the Simons Institute for the Theory of Computing at UC Berkeley. His books include: The High Cost of High Tech (with Lennie Siegel); Cyberpunk: Outlaws and Hackers on the Computer Frontier (with Katie Hafner); Takedown: The Pursuit and Capture of America’s Most Wanted Computer Outlaw (with Tsutomu Shimomura); What the Dormouse Said: How the Sixties Counterculture Shaped the Personal Computer Industry; and Machines of Loving Grace: The Quest for Common Ground Between Humans and Robots. This program is organized in collaboration with The Berggruen Institute’s program for Humans and Technology.